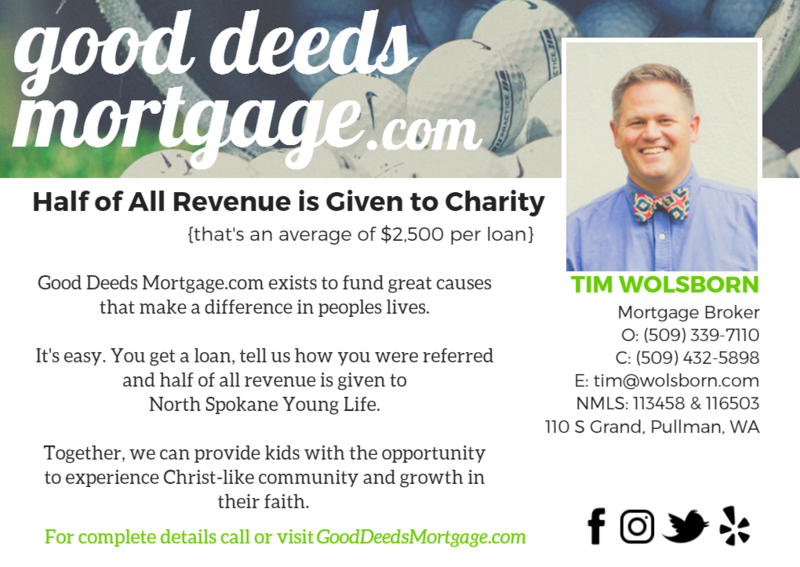 If you refer someone to us for a mortgage loan, we'll donate money to your Cru account or area. $3,000 to $5,000 per loan. If you don't know me, I was a Young Life area director in Pullman, WA from 2006-10. I've been in your shoes and know how challenging the job can be. Raising the budget is typically no area directors passion. 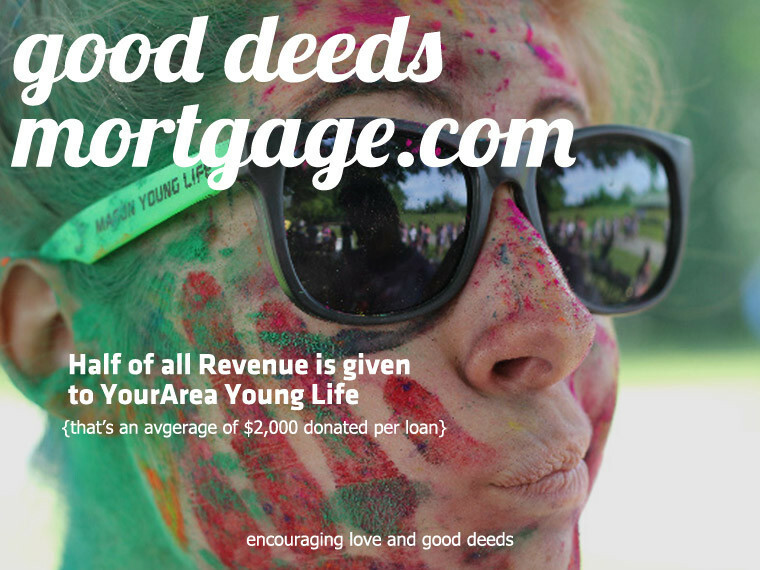 God has really put on my heart to help Young Life and other ministries raise money through my mortgage business. 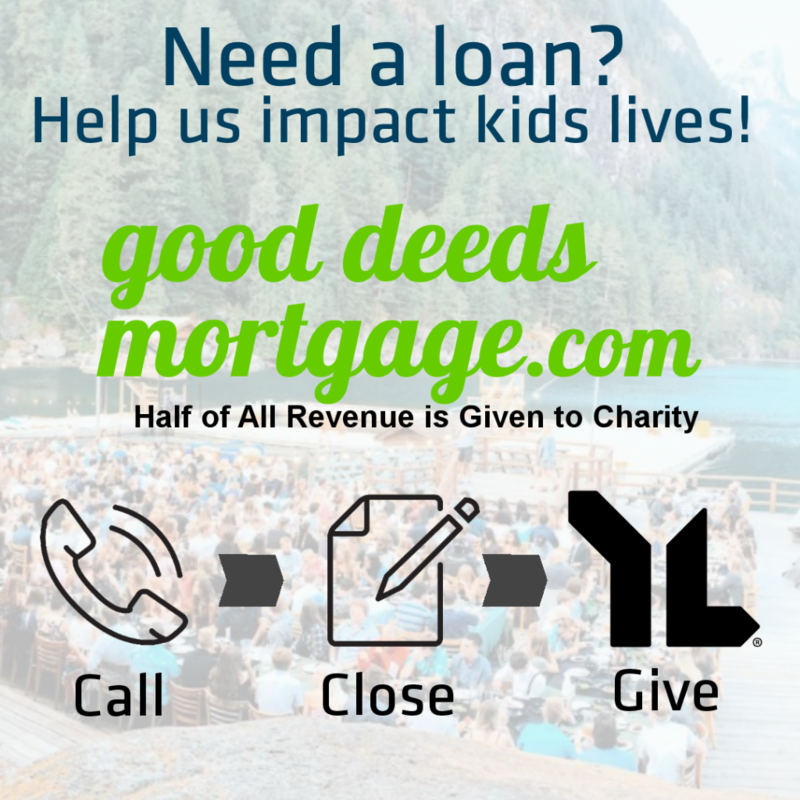 Good Deeds Mortgage was created to finance ministry. For any loan referred or directed from your area, half of the revenue will go directly to your area. That will typically $2,000 to $3,000 per loan. Below are some very natural ways and a few more aggressive ways to maximize this opportunity. Call or email me with questions or other ideas. this is a natural tie in as most areas get business sponsors anyways. I would love to pay for / sponsor a "save the date" mailer. (see sample 1). Open to sponsoring in other ways also. The most effective mortgage advertising is consistent impact, 4+ times per year. I'm willing to pay for up to 4 mailers per year. Could be a "save the date" postcard. (sample 1) Postcard specifically regarding mortgage info. (sample 2 & 3). 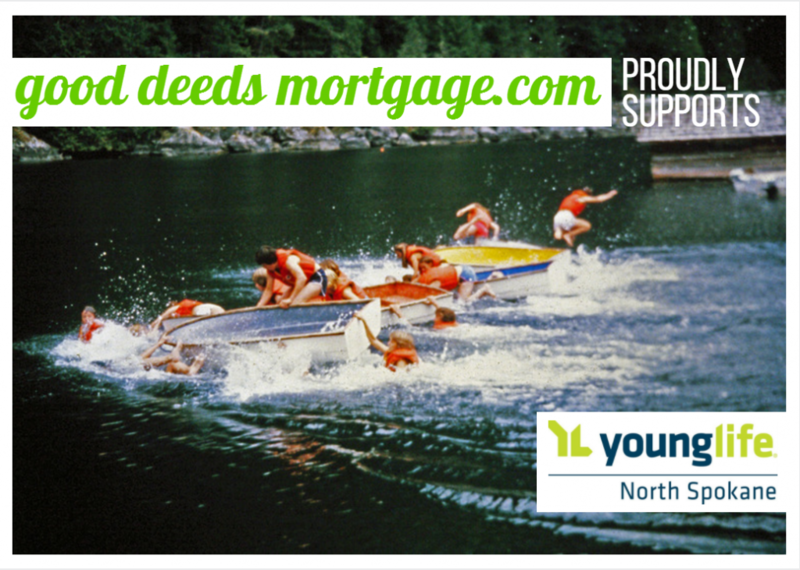 "We're at camp postcard" with sponsored by Good Deeds Mortgage on the address side. Or a complete newsletter with sponsorship. The real benefit is not me paying for your mailers though. It's when loans come in getting significant checks to your area. Not just for kids and leaders anymore. Please like and share my Facebook page. If you send out email newsletters, this is also a good way to spread the word. Mention Good Deeds Mortgage in the email. Over time, odds are it will result in loans that will be money to your area. Keep it in mind. Encourage people to contact me if you know they are buying a house. If you know Realtors who love Young Life, odds are they have clients who do also.